Brian Schmetzer has revealed that the Seattle Sounders team are looking to secure a place in the play-offs by getting a victory against Philadelphia Union. Several Seattle players are looking to top Landon Donovan, who has six MLS titles with two different clubs.The defending champions will be able to go one step closer towards retaining the title if they managed to reach the play-offs. Seattle Sounders will be able to do so by getting a victory against strugglers Philadelphia Union. After having been out of the play-off picture in the first few months of the season, Seattle Sounders have been quite impressive in recent months. Even though the club has only picked up just one win in the last five matches, the Western Conference has been a tough table this time around with none of the teams showing a lot of dominance. The table has been led by different teams on different occasions with early leaders like FC Dallas and San Jose Earthquakes dropping out of the play-off picture in recent weeks. 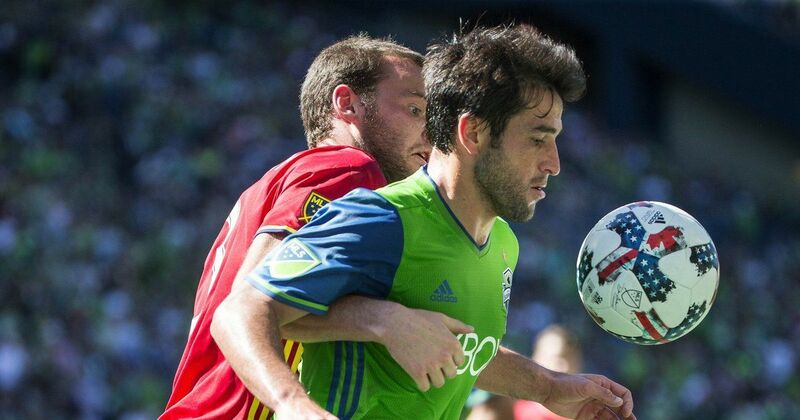 Seattle Sounders have been going through the opposite experience with the team coming in with a late push for the top two places. Vancouver Whitecaps, Portland Timbers, Sporting Kansas City, Seattle Sounders, Houston Dynamo, and Real Salt Lake other teams in the top six of the table going into the last few games of the season. Brian Schmetzer is confident about getting a victory against Philadelphia Union. “They’re reinvigorated after that performance. That performance did a lot, obviously, for the guys that scored goals. But it was another clean sheet for (goalkeeper) Stef (Frei), so I think overall, the team’s in a good place. The team’s been playing well defensively all year,” said Schmetzer. “It’s going to be an important win if we get it because we’ll be a step closer to the playoffs. “We’re just fighting for a better position,” said right-back Kelvin Leerdam.